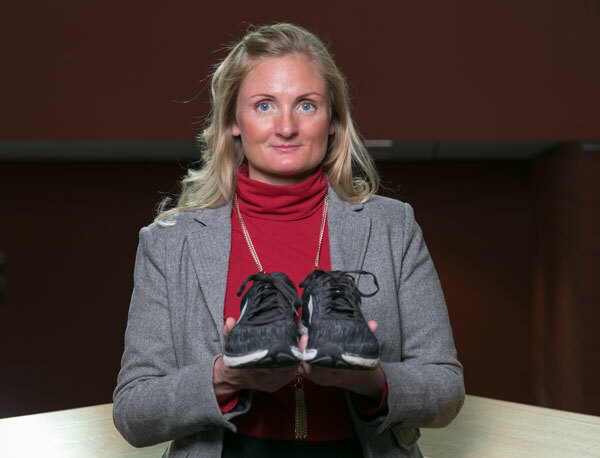 Running for awareness, running for fun, running for personal health motivated Southern Utah University’s anthropology professor, Liz Olson, to take on a new challenge as the only woman from SUU to compete in the 2018 Santa Virtual Ultramarathon. This past December, with no prior marathon training, Dr. Olson finished 3rd in the 50K event. Dr. Olson and her friend Susan Wiley decided on a whim about three weeks before the race to run the marathon together for fun. They scheduled seven hours to complete the marathon but ended up finishing in five hours and fourteen minutes. The Santa Virtual Ultramarathon is a virtual race, meaning participants can complete their run on their own time. Contestants track their participation in an app throughout the race period (December 1st- 24th) and can connect with friends and fellow racers. The results announced winners in three categories; fastest 50k time, greatest total distance run, and greatest distance run in a single day. Olson’s victory fell in the fastest 50k time category. Olson and Wiley began their run in Veyo, Utah and finished in Washington, Utah. They ran through many different landscapes as well as several different trails and roads used in the Snow Canyon Half Marathon, the Southern Utah Half Marathon, and the Dogtown Half Marathon. In addition to running for fun, Olson was running in hopes of bringing awareness to working mothers who make their personal health a priority. As a professional single mom, Olson can relate to the difficulties of trying to balance everything. “There are a lot of women who make the time while juggling the responsibilities of work, family, life, and everything else.” Olson continued. Dr. Olson works in public health specializing in medical and environmental anthropology, ethnomedical systems, development, political ecology, and natural resource management. Many of the health problems she has encountered are preventable by changes in lifestyle and diet. Dr. Olson teaches different local fitness classes, including spin. She also has helped lead campus T-Fit groups. For more information about Dr. Olson, visit her website. Note: First place contestant Sarah Hill was a late addition and so although the results link lists Olson as 4th place, marathon coordinators agree that Olson did place 3rd because of Hill’s late entry.